Albizia anthelmintica (A. Rich.) Brongn. North Luangwa National Park, Kutandala. Kafue River Lodge, Kasempa District. Deciduous shrub or small, multi-stemmed tree. Branchlets often spine-tipped. Leaves with 2-4 pairs of pinnae; rhachis ending in a hook-like extension; leaflets in 2-4 pairs per pinna, obovate to almost circular; petiole with a gland about midway. Flowers in fluffy, semi-spherical heads, creamy-white, appearing before the leaves. Pods flattened, pale brown. Derivation of specific name: anthelmintica: "worm killer", referring to its use in traditional medicine as a cure against tape-worm. Brenan, J.P.M. (1970). Mimosoideae Flora Zambesiaca 3(1) Pages 120 - 122. (Includes a picture). Burrows, J.E., Burrows, S.M., Lötter, M.C. & Schmidt, E. (2018). Trees and Shrubs Mozambique Publishing Print Matters (Pty), Cape Town. Page 226. (Includes a picture). Coates Palgrave K. (revised and updated by Meg Coates Palgrave) (2002). Trees of Southern Africa 3rd edition. Struik, South Africa Page 258. Curtis, B.A. & Mannheimer, C.A. (2005). Tree Atlas of Namibia National Botanic Research Institute, Windhoek Pages 120 - 121. (Includes a picture). Heath, A. & Heath, R. (2009). Field Guide to the Plants of Northern Botswana including the Okavango Delta Kew Publishing Page 383. (Includes a picture). Mannheimer, C. & Curtis B. (2009). Le Roux and Müller's Field Guide to the Trees and Shrubs of Namibia Macmillan Education, Windhoek, Namibia. Pages 80 - 81. (Includes a picture). Schmidt, E., Lötter, M. & McCleland, W. (2002). Trees and shrubs of Mpumalanga and Kruger National Park Jacana, Johannesburg, South Africa Pages 170 - 171. (Includes a picture). Setshogo, M.P. & Venter, F. (2003). 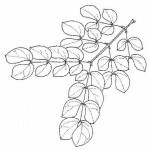 Trees of Botswana: names and distribution SABONET Report No. 18 Southern African Botanical Diversity Network, Pretoria Page 66. Van Wyk, B. & Van Wyk, P. (1997). Field Guide to Trees of Southern Africa. Struik, South Africa Pages 506 - 507. (Includes a picture). Van Wyk, B. & Van Wyk, P. (2013). Field Guide to Trees of Southern Africa (Second edition) Struik, South Africa Pages 606 - 607. (Includes a picture). Hyde, M.A., Wursten, B.T., Ballings, P. & Coates Palgrave, M. (2019). Flora of Caprivi: Species information: Albizia anthelmintica.